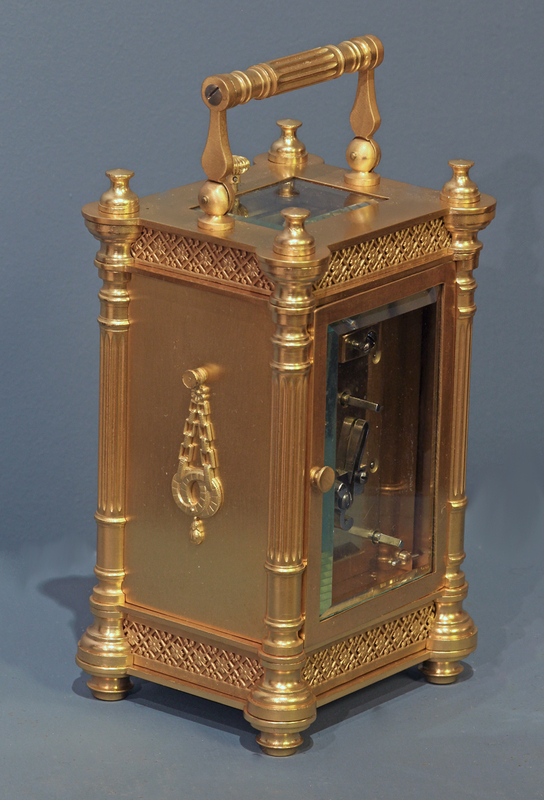 c.1900 French Gilt-Bronze Carriage Clock with Calendar Dials. 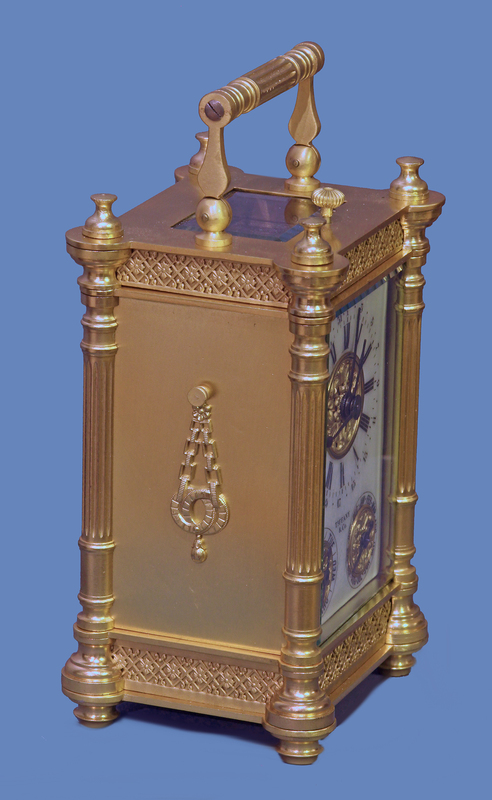 The decorative gilt-bronze case has decorative fluted columns to the corners, applied decorative fretwork, solid sides fitted with decorative elements, a hinged handle and beveled glasses to the front, back and top. 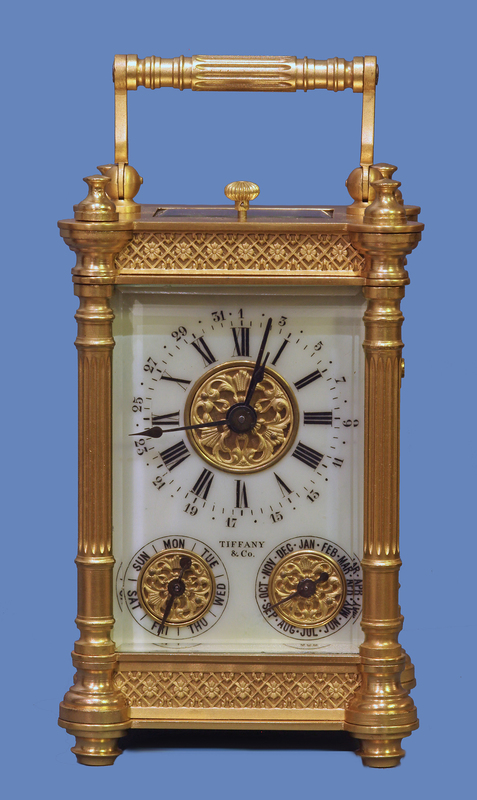 The porcelain dial has black lettering, Roman numerals for the hour dial, Arabic numbers for the 31-day sweep date chapter, two subsidiary dials for month and day, decorative frets, steel cut indicator hands and is signed ‘Tiffany & Co.’. 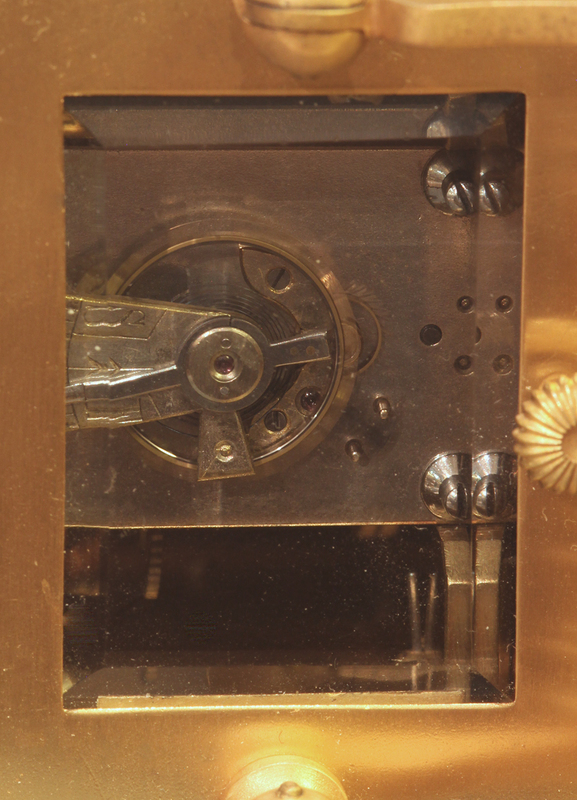 The eight-day time only movement is wound and set off the backplate, has a lever escapement with the platform mounted above and has the date adjustment out the top. Size: 4 5/8 in. 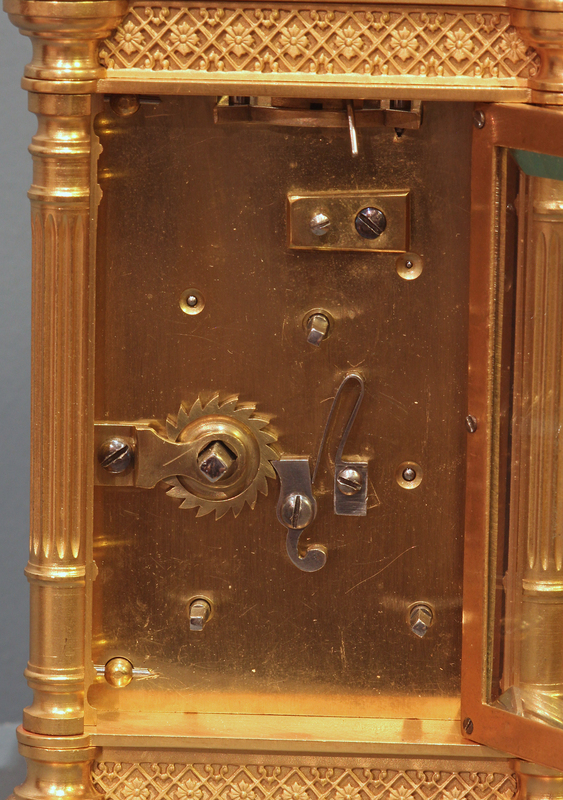 w/out handle.